War-date Union imprint “GENERAL ORDERS No. 152” Issued at Washington, October 6, 1862, 2pp. 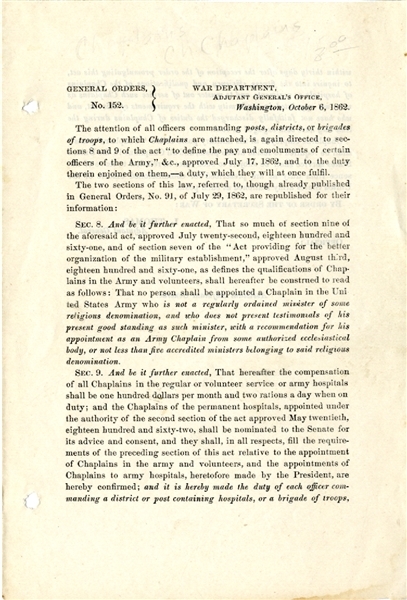 octavo, and reads in part: “...That no person shall be appointed a Chaplain in the United States Army who is not a regularly ordained minister of some religious denomination...” Fine condition.